A major concern for many players when they walk into a casino or decide to sign up and play online poker or casino games at any of the many sites around the Internet is whether they can trust the establishment to operate in a fair manner. After all, none of us will sit down at a private game if we feel one of the players or the host was going to have an unfair advantage due to some preplanned strategy to reduce our odds of winning.We all know that the casino or the house is going to get its take. We all know that many games are set up so that the house will win over the long haul, but we’re talking about something more direct. We want to give you a good overview of what to expect when you walk into a casino, sit at a video slot or poker machine, or log into your online casino or poker site. You will find more information including examples of online and live casino rigging at our blacklisted sites, plus a breakdown of site security and regulations designed to make online poker play safe for players. 1. Is Online Gambling Rigged? Online gaming sites are businesses. Their ultimate goal is to make a profit while engaging their customers so they come back and invest more time and money in the game. Allowing their customer to enjoy the game requires the players feel safe and protected. Laws and regulations have been put in place to ensure the games are run ethically and legally. While the accusation is that games are set up in a way that the player never wins, the truth is the casino must have an advantage or they will go out of business. A house edge, however, does not indicate a game is rigged. In addition to the randomness programmed into the game, there can also be streaks of bad luck that will affect individual players. Even when the hands don’t feel random, this is no indication of a rigged game. Legally, this indicated fraud. The offage as discovered when a player played a free play mode and was offered a fair game. Once she changed to a money game, she logged her results. After playing tens of thousands of hands of Hi/Lo Gambler, she gave the logs to her brother who analyzed them. He concluded the game was not paying her as it should. Blackjack naturally has a mathematical percentage that favors the house, although the payout percentage varies by the skill level of the blackjack player. Online games use random number generators (RNGs) to ensure their odds match the payout of land-based casinos. Mathematical analysis should indicate the payout will average over time. There have also been a number of allegations over the years of online poker sites being rigged by allowing another player or observer to see everyone’s cards and to be able to pass this information onto an active player. The most regular accusations of rigged games occur around card rooms. The feeling is that poker tables are rigged to improve profitability, such as when higher-than-natural odds are given to inexperienced players. Alternatively, an advantage can be given to skew all-in scenarios in the favor of the underdog. A theory is that odds that should fall 78-22 would be changed to 80-20. However, such a scam would be too easily detected. In that case, odds could be shifted in the favor of a player that called an all-in versus the player who bet the all-in. This also may be too easy to detect. Another option is that non-all-in hands would be altered in favor of the player who called the bet. In fact, this is exactly what happened during a tournament at Absolute Poker back in 2007, when observant players questioned the tournament winner’s game play and instigated an investigation which led to the uncovering of a scandal in which online players were cheated out of up to $1 million. First of all, any online casino that is publically traded undergoes tremendous scrutiny. They are constantly audited by government authorities and 3rd parties to ensure that all their online casino games are fair, and that all of their random number generators are in fact that – random. All of these online casinos are forever dealing with government agencies to ensure compliance with the rules and regulations of operating a white listed casino. If you are unsure of which casinos have a good reputation, ask your friends and family who play and you will likely get plenty of information on sites that have a poor reputation and those that have a better reputation. Stick with those who have good word of mouth from people you trust. More than casino sites, poker sites have a higher than average chance of collusion, although no higher instance of the site being rigged. Collusion occurs when players converse outside of game play to share information about their hands. This type of cheating in online poker does cause at least moderate concern. The fact is, this type of cheating would be easy enough with IM clients or phone use. 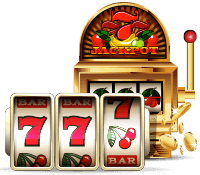 There are a number of scenarios where users of video slot, poker and other casino and bar gambling machines can be rigged to the owning company’s benefit. The first rigging example has been documented numerous times and involves a number of different controlling companies. It is a situation that might, at first, not seem illegal and potential expected. It is referred to as the “Near Miss” scenario. In this scenario a machine is programmed to show the player a near miss. For example, it will turn up two 7s on the pay line and the third 7 just above or below the pay line. This result has a tendency to make the player believe that they are close to hitting a big payout. The net result is that they continue to pump coins into the machine. Upon investigation, it was found that some machines returned this “near miss” scenario up to 1000 times more often than the payout scenario. On a truly random program this would not happen. While, this scenario just encouraged players to play longer and didn’t actually affect a player’s chances, intentionally programming games to generate the “Near Miss” scenario is now illegal in Nevada. Another more direct rigging example that was documented involved actually affecting a player’s chance to obtain a winning result. Back in the 1980s there was a stir created in Nevada over some peculiarities in slot machines and other video gambling machines scattered throughout casinos and bars in the state. It all came to a head with the American Coin Scandal. The scandal represents the largest organized cheating scheme on record in the state of Nevada. According to records, American Coin altered the programming in their machines’ chips so as to not allow players to draw a top-paying royal flush or achieve a top Keno jackpot. This rigging directly cheated players from potential payouts. As a result, over 1000 machines were seized and the company was eventually ordered to pay over $1 million in fines. As a result of these and other instances of rigging or tampering, Nevada’s Gaming Control Board has set very specific regulations for video gambling machines throughout the state. Games are all inspected. Chips need to be approved before they can be installed. In casinos, top-paying machines are often tamper-proofed with videos trained on the machines at all times. Many approved chips are set permanently into a machine’s motherboard so they cannot be switched or altered. The net result of these security efforts is that video gambling machines are more regulated and should offer gamblers a much more secure gambling outlet than in years passed. As we entered the new millennium, poker was enjoying a boon in online play. Card players were flocking to online poker sites around the world. AbsolutePoker was generating a lot of revenue and many players took part in daily play and tournaments at their site. In 2007, AbsolutePoker, a Canadian company located outside of Montreal, Quebec was hosting a Hold’em tournament with a $30k top payout. It was a tournament like any other tournament held at sites around the world. At least it seemed to be. Marco Johnson, a 21-year old card player from Las Vegas noticed strange hands and game play occurring a lot more frequently at the final table than he’d expect. We all expect the random strange hand or unexpected play, but there was more to this to Johnson than he felt was justifiable. After the tournament in which he places second, he contacted AbsolutePoker for a printout of his hand history. What he got in return was much more than he could have expected. Instead of a simple printout of the hands Johnson played, what he received was a spreadsheet outlining every hand played, the table lineups and participants logged into each table. Confused by the receipt of so much more information than requested, Johnson began to look into the data more closely. What he found was shocking. The player who eventually won the tournament and its $30,000.00 prize seemed to show a history of illogical play. This suspect player, who played under the name Potripper showed a trail of just bad play according to professional poker player and poker website moderator Serge Ravitch. The document, which also included email addresses and the IP addresses of participants’ computers, soon led to a more devious find. It seemed that Potripper’s success at each table coincided with the presence of another user identified as #363. While other players seemed not to be able to see #363, he appeared to be able to see the cards everyone was holding. Potripper was seen to fold prior to the flop before #363 appeared at the table, but didn’t fold often after #363 was present. The IP address of #363 was traced back to Kahnawak Gaming Commission, which is coincidentally the collection of servers which hosts AbsolutePoker. Digging even deeper, it appeared that the IP address of #363 can be traced to the computer of AbsolutePoker’s co-owner Scott Tom and the account of Potripper to former AbsolutePoker to former director of operations AJ Ripper. It is estimated that this insider rigging at AbsolutePoker accounted for somewhere between $500,000 and $1,000,000 being stolen from players by the company. These requirements rely heavily on constantly advancing Random Number Generators and other security features. All of these precautions and security measures should be well established before the site deals its first game. The security measures in place at an online poker site should be posted on the casino’s home page. They’ll proudly display the logos of independent auditors used to oversee their software. Also note if the site has received any e-Gaming awards or other recognition from reputable organizations. There are other steps that you can take in order to ensure that the site you’re considering offers security and fairness measures that are to the level you expect. Does the site/casino have a good reputation? Read the reviews that have posted online. Also check unrelated sites whose job it is to review online casinos. Does the casino have complaints filed against them? It is important to accept your responsibility to do your own due diligence in investigating a potential gambling site. It is most definitely in your best interest to verify this information before you invest your valuable time and money with a particular online casino or poker site. After all, once a problem already presents itself, it is too late to question. Next, be sure to thoroughly review all of the casino’s posted security policies. You should note if their posted security and fairness statement is hard to locate or difficult to understand. If the security policy doesn’t address all of your concerns, don’t be afraid to contact the site administrator and note how quickly and how thoroughly he/she responds to your concerns. If security information isn’t readily available, you should definitely email to check on it, or simply find a new site. Although, not quite in the rigged vein, you should also take care to be note how the casino accepts payments. Ensure the server is secured and that other precautions are in place to protect you during all financial transactions. 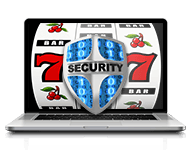 If you do not feel completely safe and secure, find another casino or online poker room. Once you have done your due diligence and are confident that the safety measures of the casino are up to par and have decided to play your first games, you definitely want to be sure the site’s software is set up for fair play. You would not take a seat at a private poker game if there was any chance the dealer or host wasn’t playing fair, so you should expect anything else from an online game? In short, you should not. Once you have done your due diligence and are confident that the safety measures of the casino are up to par and have decided to play your first games, you definitely want to be sure the site’s software is set up for fair play. You would not take a seat at a private poker game if there was any chance the dealer or host wasn’t playing fair, so you should expect anything else from an online game? In short, you should not. There has been a lot of outspoken concern about the bad beats and their frequency in online games. There are several explanations as to why bad beats can seem more prominent. Online casinos use pseudorandom number generators (PRNGs) to produce pseudorandom numbers (PRNs) that create results similar to a randomly dealt live hand. Poker hands move much faster in online play, so it may seem that the frequency of these bad beats is greater than normally seen. Thus, many poker experts and analysts believe this perception is simply a false impression. Other experts even suggest that because of this designed random nature of the online deals, the hands dealt online actually represent a more realistically random deal than games using human dealers. Despite the security offered, these PRNGs should be consistently tested to completely ensure that no behavior in the game can be effectively predicted by a player. PRNGs are designed in such a way that their output is decided by their original algorithm. If you are aware of that initial information, you could, in theory determine every output that a PRNG will generate. For this reason, in their effort to ensure fair game play, online poker sites and gambling casinos must use PRNGs that represent the newest and most advanced programming, and they must keep the initial algorithm well protected. Once these factors are in place and secure, the site needs to address the manner that the PRNGs turn PRNs into playable hands of poker. 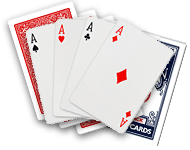 If this transformation method is not working as it is designed, the dealt hands of cards won’t appear random and some cards will show up more frequently and particular hands or combinations will stand out. Avoiding this type of bias is essential for fair game play, so even after the algorithms and transformation methods are selected and verified as secure as they can be, they must be implemented correctly. It is important to note (and remember) that hackers, criminals and shady players are both determined and clever. They will research a site’s PRNG to try and predict how hands will be dealt. 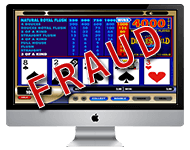 To avoid this predictable behavior on the part of those seeking to cheat, online gaming and poker sites constantly reevaluate and adjust their PRNGs. It is highly recommended that popular play sites should enact this proactive measure twice a year. The site operators strive to stay ahead of the attempts to figure out their system. For that reason the online gambling sites require a strong, thorough and competent system administrator that is dedicated to fair play for the site’s users. The site administrator must attend to the algorithms, the programs, and the transformation.